"There's a depth to Georges' work...an intense interest in finding out not just who she is but what it means and why it matters." "Nicole Georges spins a riveting family mystery. There's a powerful chemistry going on between her delicate drawings and the probing honesty of her investigations. 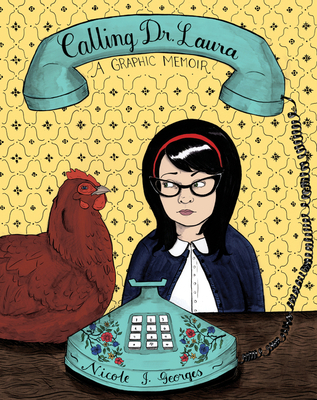 CALLING DR. LAURA is disarming and haunting, hip and sweet, all at once." "I wouldn't want to live in a world without Nicole! And now no one has to! This book is a charming little gem. An honest glimpse into the life of a self-employed, smart and witty Portland femme gay with an upbringing so weird it's normal."